*capable of hunting 5E, 6E, telephone wire, coaxial cable, USB cable and other cables. 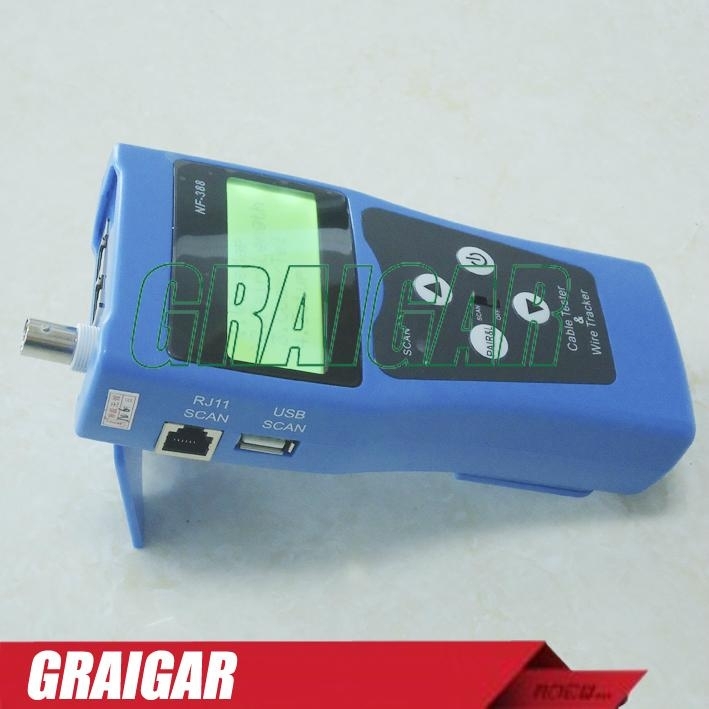 *Check wiring error,such as open circuit, short circuit, jumper wire, reverse connection or cross- talk interference. 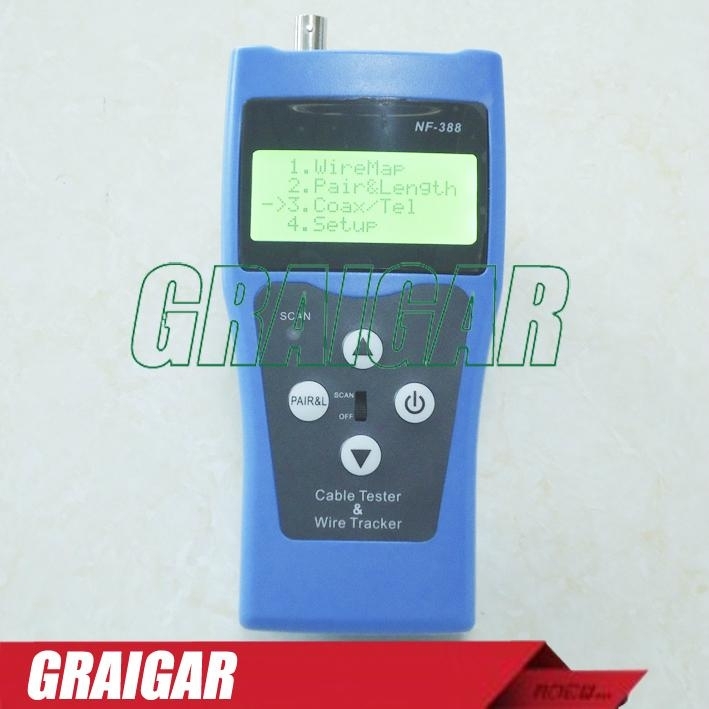 *Measure cable length and determine the distance of open circuit and short circuit. 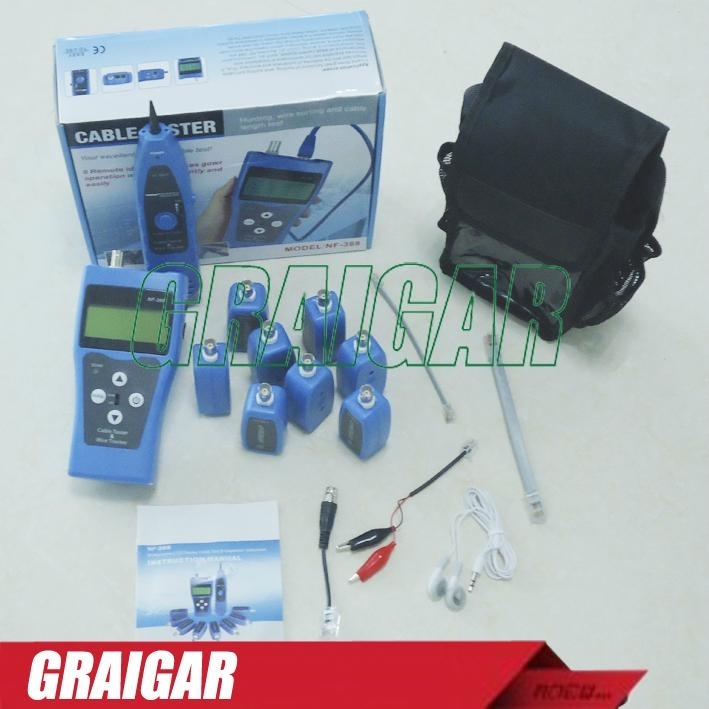 *Dynamically calibrate cable length and test cable length accurately. *Locate cables more conveniently with 8 far-end passive test jacks(ID No.ID1-ID 8). *Portable unit with long battery life (wait-case 50 hours). *Self-checking function and automatically compensate any change in battery capacity or ambient temperature. Special 4x16 character big screen LCD lattice(valid visual field 61.6x25.2mm). STP/UTP twin twisted cable,coaxial cable,telephone line. 5E,6E,telephone wire,coaxial cable,USB cable and other metal wires. 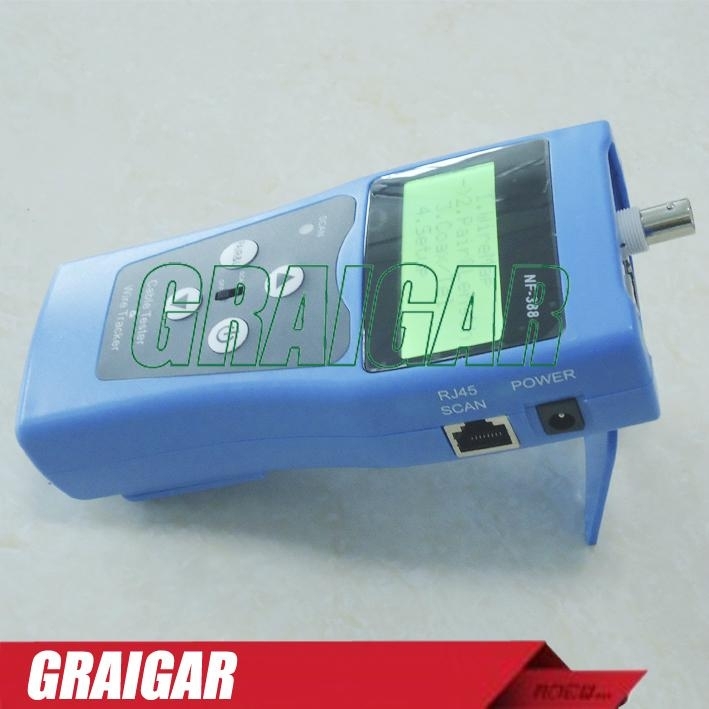 Remote identifier RJ45 port(R).The extra BNC and RJ11 converters are used to measure ad check the continuity of coaxial cable and telephone line. User can set calibration factor by himself with a given length cable. The length of calibrating cable is more than 5M. 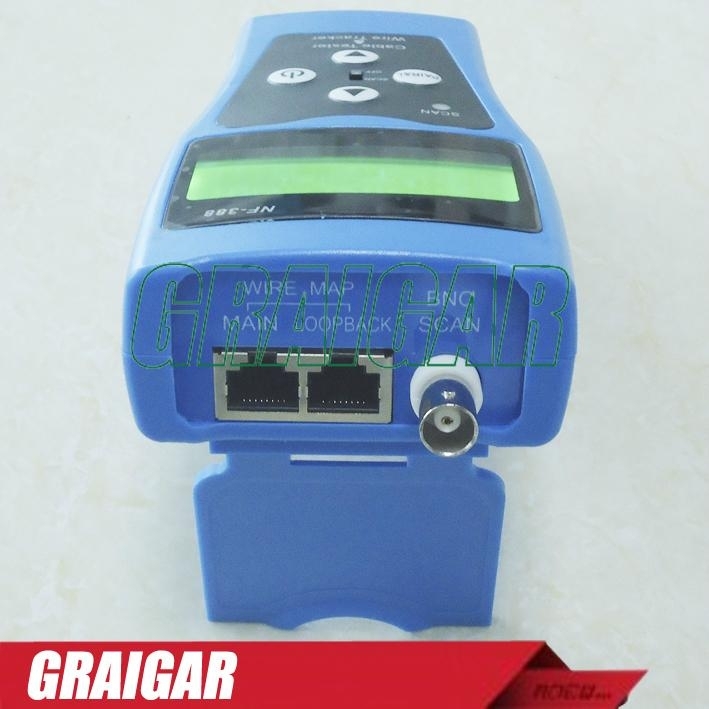 Check errors such as open circuit,short circuit,reverse connection,cross-over or cross-talk interference. 8 Remote identifier test jacks(ID1>=ID8). This product has red/ blue two colors, which color you need, please leave a message.